Her new album is a deep sermon of mixed cultural identity looking beyond the horizon of differences and individual, personal experiences transmuted into pure, unassuming wisdom. Each track is a story to be told: The opening "L'Abbraccione" is somewhat of a dream track to open carefully arranged with all sorts of instruments and ethnic flavour to it. The next track are rubber stamped with elusive yet significant sense of tactfulness that is Amy's feature. 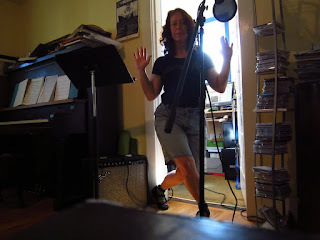 She opens up with her subtle and powerful vocalising - that opens you up to the flavour of jazz, gospel, blues, open experimental form that she blends and embellishes gracefully - look at "Zap Sistah"
There are motoric qualities in her narrative that effortlessly avoid well-trodden paths like bass in "Rx For The Afterlife". The choice of instruments, and please bear in mind that Amy does the majority of it by herself - is astounding - glockenspiel with clarinet and frame drum. The other aspect of her album is political aspect of it. Titles like "Donald The Lump" give her own personal comment and criticism towards US political self-proclaimed "leader" which voice Amy uses as a sample, weaves into her vocal lines and ingeniously riddicules. Nothing has made me laugh so much as this in a while of listening. There is so much mischievous sense of humour here that is so refreshing both on musical and lyrical level. 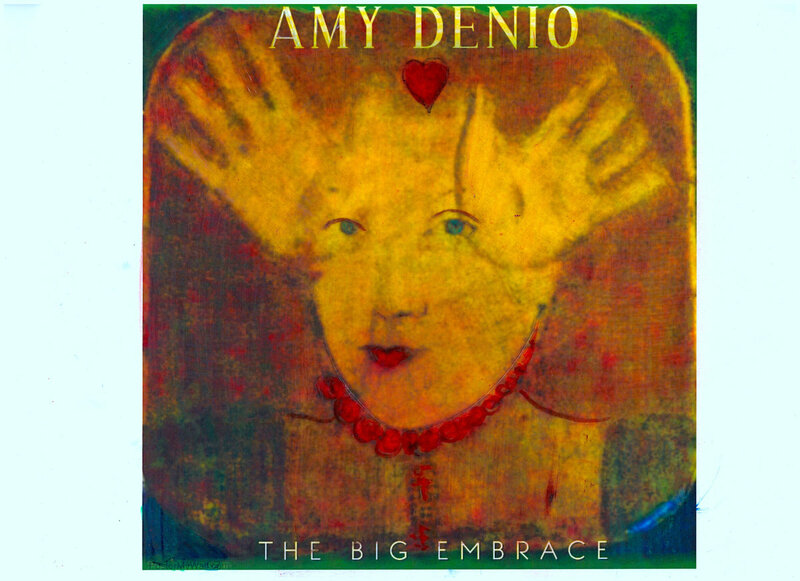 The Big Embrace is a great album to listen and come back to it again and again. It's a literal embrace of different styles and approaches which Amy presents in a unique way. There is not a note here that is unnecessary. Uncanny experience in those crazy times where so much music is being wasted. Thank you, dear Amy.